With more than two million Americans suffering from Plantar fasciitis, this foot condition is one of the most common and bothersome. Plantar fasciitis occurs as a result of inflammation to the plantar fascia ligament that runs from the heel bone toward the toes. It is known to cause extreme discomfort that radiates outward from the heel and interferes with physical activity. The prevention and treatment methods most frequently suggested by doctors, like rolling the foot back and forth on a can, do not always resolve plantar fasciitis symptoms, and they rarely provide long-term relief. This is exactly why Dr. Bennett treats plantar fasciitis with PRP injections at Bennett Orthopedics and Sports medicine in Sarasota, Florida. Why Use PRP to Treat Plantar Fasciitis? The plantar fascia doesn’t get as much blood flow as other areas prone to injury, which makes it harder for the body to naturally heal degenerative injuries in the foot. This is why stretches and anti-inflammatory treatments only offer temporary relief. Triggering the natural healing supported by blood flow is the only way to stimulate deep and lasting healing in the plantar fascia. How Can PRP Treat Plantar Fasciitis? 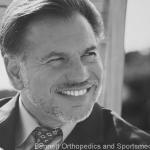 Dr. Bennett approaches PRP with a unique level of precision and customization. Based on the exact nature of the plantar fasciitis injury and the tissue targeted for accelerated healing, Dr. Bennett will draw the patient’s blood to create a unique concentration of platelets that may or may not include white blood cells and stem cells. Once the PRP is prepared, it is injected back into the site of the injury to trigger accelerated healing. The best way to prevent the progression of plantar fasciitis is to receive at least two PRP treatments. Most patients experience pain relief just days or weeks after PRP treatment, but undergoing a second injection ensures that the entire injured area can sustain the ongoing healing needed to alleviate symptoms and actually rejuvenate the injured tissue. If you are tired of rolling your foot on a can or relying on anti-inflammatory medications to escape the pain of plantar fasciitis, don’t wait any longer to call Dr. Bennett at (941) 404-2703. Dr. Bennett has been providing PRP treatments to injured patients for many years, and has experienced a positive success rate that proves PRP is the best form of treatment and prevention for plantar fasciitis.